While strolling the boardwalk (which, sadly, has since been obliterated by Hurricane Sandy) in Seaside Heights, New Jersey this past August, the Prolix Patriot was discussing an interesting question with his brother-in-law. Namely, what is the most popular given name in each state? Our theory was that in New Jersey, with such a strong Italian population, names like Joseph and Paul might be more popular. However, as the infographic above clearly shows, this is incorrect. In fact, like the rest of the Northeast--and indeed in the country overall--the most common name in New Jersey is John. Across the Old South--with the exception of Florida--and into some of the Midwestern states, the most popular name is James. It turns out that the popular stereotype of backwoods good ol’ boys named Jim Bob is not without some basis in fact. 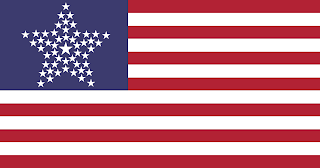 Also, it may suggest that Jim Beam ought to be the true Southerner’s whiskey of choice, as a preference for Jack Daniels might implicate the drinker as some damn Yankee scalawag. At the very least this confirms the Prolix Patriot’s preference for the former. Turning to the upper Midwest and the West Coast, the popularity of Michael as a first name is clustered in two regions which oddly, have very little in common from a cultural standpoint. The prevalence of Michael in Wisconsin and Minnesota makes some sense as the Archangel Michael is the patron saint of sailors and the Scandinavians are famous for their maritime heritage. It is less clear how this rationale would apply to the thoroughly land-locked states of Colorado and Nevada however. Meanwhile, the popularity of Robert is centered in areas typically associated with rugged individualism and self-sufficiency such as the high deserts of the Southwest, the bucolic isolation of Idaho and Wyoming, and the granite mountains and dense forests of New Hampshire and Maine. Suffice it to say, if you’re in a fight, you probably want Bob to have your back. Finally, there is the outlier of the bunch. 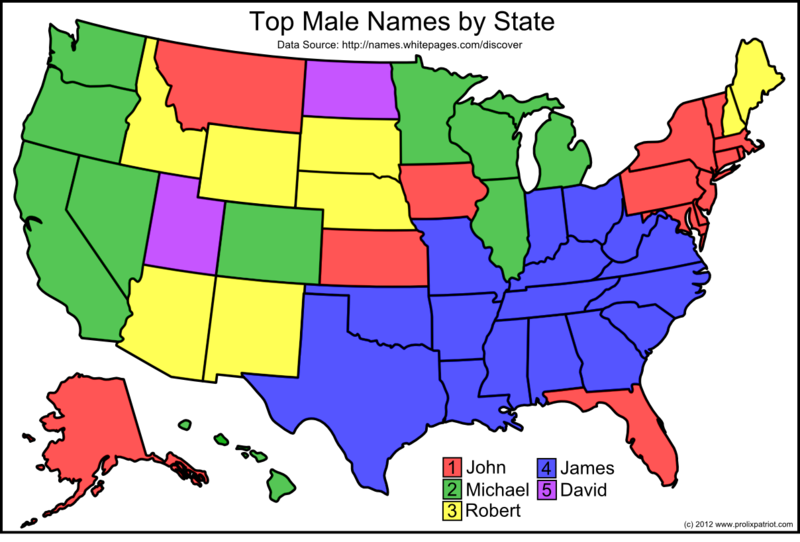 Although David is only the fifth most popular name nationally, it is the most popular name in Utah and North Dakota. These two states are ironically like the proverbial David against the Goliath of the rest of the country. The Prolix Patriot does not present a similar map for female names because the result would be trivial. In every one of the 50 states, the most popular female name is either Mary or Maria. However, it is clear that there are regional trends in first names for men. Although in recent years there have been many fads with non-traditional names for both boys and girls, the names we see here are of timeless and enduring popularity so it will be interesting to see whether the map has changed at all several decades from now. While most of the country was focused on the results of the presidential election, the citizens of Puerto Rico voted in a referendum on the question of becoming a state. Although critics and opponents of statehood point out that many people left the statehood ballot blank and that, absent a clear majority, there is no guarantee that Puerto Rico will become a state, it is nevertheless true that more and more Puerto Ricans vote for statehood every time this kind of referendum is held, so it is really only a matter of time before Puerto Rico joins the Union. 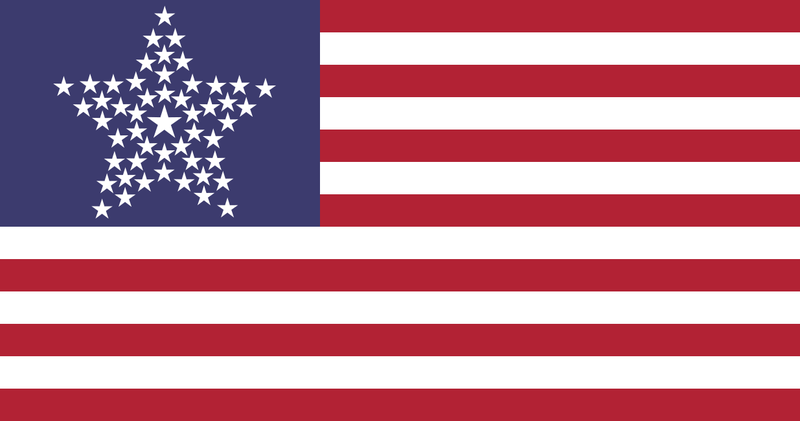 Therefore, the Prolix Patriot presents some ideas for a 51-star flag as a public service, inspired by designs from American history. 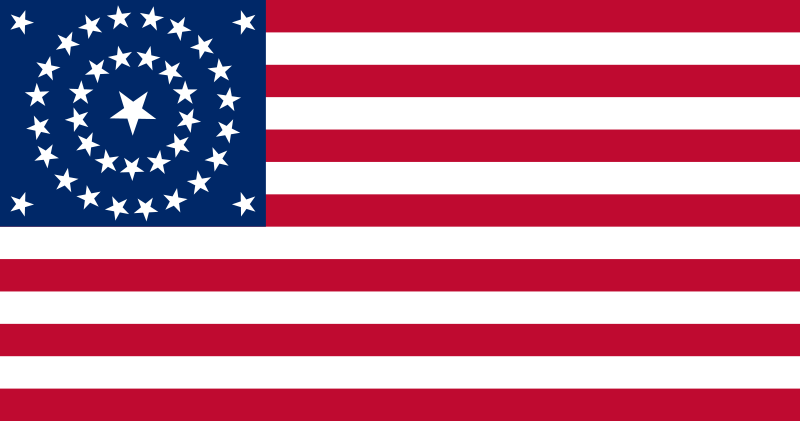 This design was popular in the middle of the 19th century, and is often depicted in artwork from the Civil War. 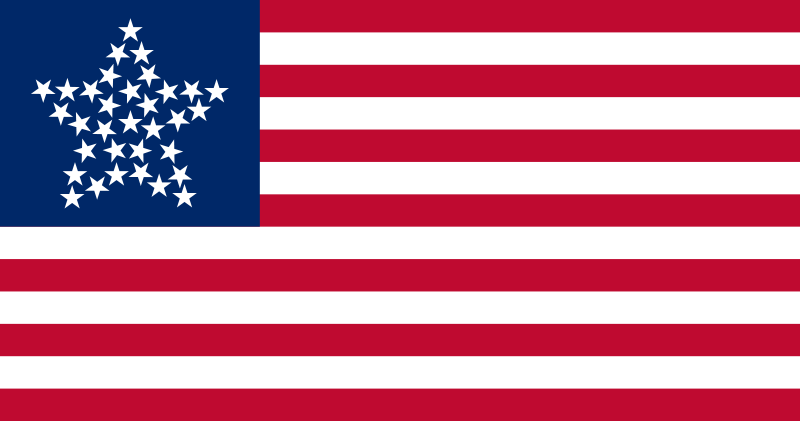 Both the 29-star (pictured below) and 33-star flag are known to have used a diamond, after the admission of Iowa and Oregon respectively to the Union. 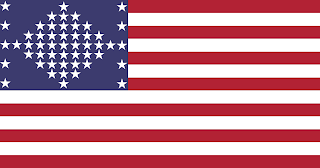 Poetically symbolizing the national slogan, “E pluribus unum,” the great star design was popular at the same time as the diamond. 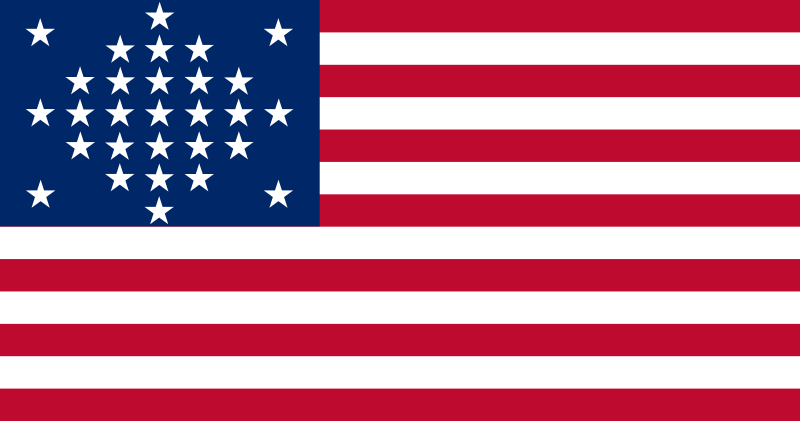 Examples are known to exist for 20 stars after Congress passed the Flag Act of 1818, 26 stars after the admission of Michigan, and 33 stars, again for Oregon (pictured below). 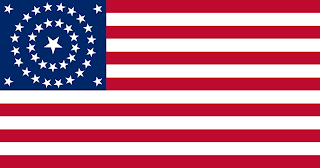 Ever since the original Betsy Ross flag, circles have been popular. Indeed, the design used by proponents of Puerto Rican statehood is based on a circle. 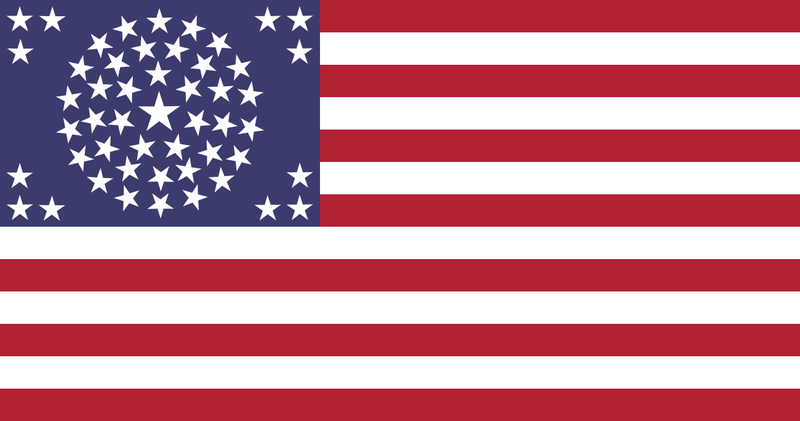 However, the Prolix Patriot offers a more traditional design based on the very popular concentric circle designs of the late 1800’s with 36 stars after the admission of Nevada, 37 stars after the admission of Nebraska, and perhaps the grandest of all, 38 stars after the admission of Colorado (pictured below). There was also an unofficial 39-star design with concentric circles which was never used. The standard square pattern of stars has been around from the beginning, but why not jazz it up a little bit? 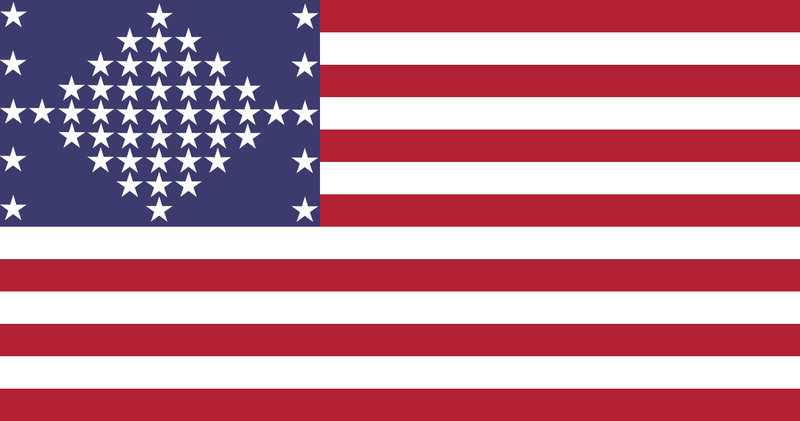 When the 51st state finally joins the Union, let's think outside the box. The day of the election is at hand. The Prolix Patriot has written before in these pages of the attacks on religious freedom by the Obama Administration. If the President is re-elected tomorrow, these attacks will doubtlessly continue with renewed hostility and vigor. Furthermore, regardless of which candidate wins tomorrow (or in the following weeks if it's very close) people of all religions will still have great difficulty living according to their faith in our decadent society. Whether in the abuses heaped upon celebrities like Tim Tebow or a formerly anonymous elderly bus monitor in New York, we live in a culture that despises virtue. In the 22nd Psalm, we find a description of the persecutions that have always faced people of faith and conviction. Whether in the jeers of unruly schoolyard bullies or the hectoring of the liberal media, people of faith seem to always be on the defensive, but as the scripture tells us, this is all to be expected for those who seek the path of righteousness. Religion tolerates unbelief because we have faith that with time and love we can convert the hard of heart to a fuller understanding. All we ask is to be allowed to practice our faith in the meanwhile. When the government joins in that attack however, the situation becomes more desperate. There are many policies which a religious person might find offensive, but President Obama has crossed an unprecedented line by requiring people of faith to violate their own consciences in the service of those policies. It is altogether fitting then that an early motto in the fight for independence of this country was "An Appeal to Heaven." The phrase alludes to the works of John Locke, the philosophical forefather of American self-government. What is my Remedy against a Robber, that so broke into my House? Appeal to the Law for Justice. But perhaps Justice is denied, or I am crippled and cannot stir, robbed and have not the means to do it. If God has taken away all means of seeking remedy, there is nothing left but patience. But my Son, when able, may seek the Relief of the Law, which I am denied: He or his Son may renew his Appeal, till he recover his Right. But the Conquered, or their Children, have no Court, no Arbitrator on Earth to appeal to. 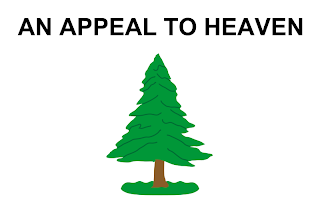 Then they may Appeal, as Jephtha did, to Heaven, and repeat their Appeal, till they have recovered the native Right of their Ancestors, which was to have such a Legislative over them, as the Majority should approve, and freely acquiesce in. When the fate of freedom is at its most perilous, we may find our hopes dashed and our faith tested. However, we would all do well to remember the words of the 146th Psalm, "Put not your trust in princes: in the children of men, in whom there is no salvation." The Prolix Patriot hopes that this will be the last word he ever needs to write about President Obama, but even if Obama is able to continue his attacks on religious liberty in a second term, there is a saying that God always settles out of court. Our faith may be attacked and even criminalized, but in the end, we shall prevail.